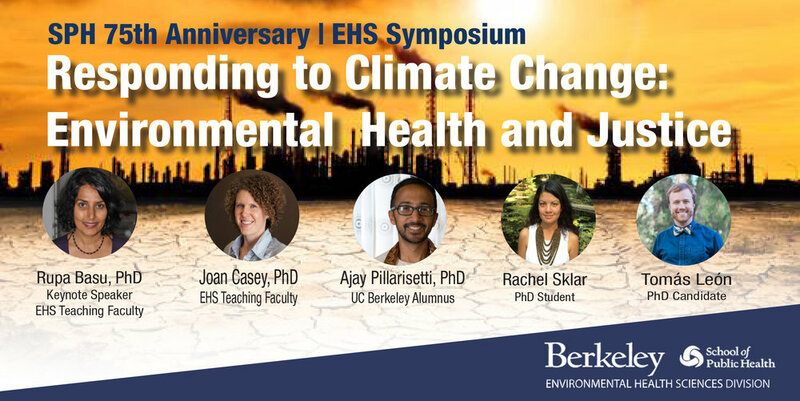 We are excited to host the 6th annual EHS Symposium, "Responding to Climate Change: Environmental Health and Justice". Join us for this anniversary event and hear from phenomenal researchers in our program as well a distinguished EHS alumnus. The keynote speaker will address heat-relatedmortality and morbidity for vulnerable populations. Following the speakers, there will be a networking reception with light refreshments. We hope that you'll be able to join us for this special event and support the Environmental Health Sciences Division.